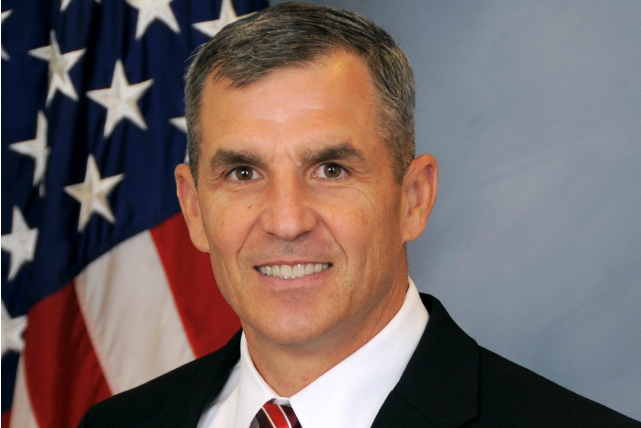 “Leading Wounded Warrior Project with rigor and discipline, while being transparent and fiscally responsible is – and will remain – a priority as we make organizational changes to better serve those who need this organization most,” Retired Army Lt. Gen. Michael Linnington said. He took over as CEO in July. Streamline the workforce to focus on areas identified as greatest in need. In a brief telephone interview this afternoon, Linnington estimated 15 percent of the roughly 600 employees will be eliminated. Asked whether pay cuts also will be coming, Linnington said a firm has been hired to conduct a salary survey. Once completed, hopefully by the end of this month, WWP will determine what salary percentile it wants to be at relative to other organizations. Linnington said staff reductions were mostly in programs principal to health and wellness areas, in addition to cutting a Soldier Ride team and eliminating the Transition Training Academy (TAA), but new critical positions were added within mental health. Nine offices will be shuttered but WWP will keep a footprint in those cities. The dozen executives listed on most recent federal Form 990 received total compensation of $3.2 million (an average of $267,801). Several executives already had left the organization earlier this year, including Adam Silva, chief development officer, which Nardizzi said was planned, and Ned Breslin, executive vice president for partnership and strategic investment. WWP came under fire early this year after media reports scrutinizing spending practices and expense ratios and criticism from some former employees. In the wake of reports by The New York Times and CBS News, the board revised policies related to travel and spending but also fired Chief Executive Officer Steven Nardizzi and Chief Operating Officer Al Giordano. U.S. Sen. Charles Grassley (R-Iowa) even weighed in, requesting more information from the charity, including reports of third-party legal and accounting reviews that led to the policy changes. Improve accountability, transparency and trust. Linnington emphasized collaboration with other organizations. “It was being done but mostly through grants,” he said. “What I want to try to do more of is more collaboration and partnership with similar programs. Lots of people are doing physical health and wellness. There are organizations doing economic empowerment, skills training. There are companies that want to help us get access to engagement. We don’t have to do it all ourselves,” he said. Doug White has been following the Wounded Warrior fiasco since the media blowup in January. He thinks the worst might be yet to come. “They’re spinning this as being efficient, focusing cuts on senior staff. I get it because that’s the narrative but they’re not just firing senior staff, they’re laying off other people too,” said White, former director of the master of science in fundraising management at Columbia University. “The key issue is – and this flows all the way to the care that these warriors are getting – is that there will be a tremendous cut in revenue and it will have its effect on programs,” he said. Following the organization’s review and report this spring, White spent the summer writing and researching the report, interviewing former and current WWP employees, in an effort to present an objective look at the organization, before and after the upheaval. The report is expected to be out next week. “You look at good charities, all the time, they’re always evaluating themselves – and should be – in a business-like context,” he said. The previous chief executives were very good managers, according to White. “The program was going in a good direction. That does not equal that they were immune to criticism,” he said. The Jacksonville, Fla.-based nonprofit reported total revenue of almost $400 million for the fiscal year ending September 2015, compared with $155 million just three years earlier, and less than $20 million in 2007. Linnington estimated that this year’s total revenue would be about three-quarters of last year’s total – which would be about $300 million – but declined to specify an exact number until the end of the fiscal year. Estimates of $200 million by Nardizzi were inaccurate, he said. If history of negative media attention upon a charity is any indication, even leaner days may be ahead for WWP. Fundraising is likely to see a dramatic decline, to say nothing of what the past few months may have done to employee morale within the organization amid executive turnover. For example, Susan G. Komen for the Cure was running at total revenue of more than $300 million a year, peaking at $360 million in 2011. After a very public dispute over Planned Parenthood grants that led to other scrutiny, the Dallas, Texas-based charity and its local affiliates saw revenue collectively dip to $264 million in 2013 and it has continued to drop.